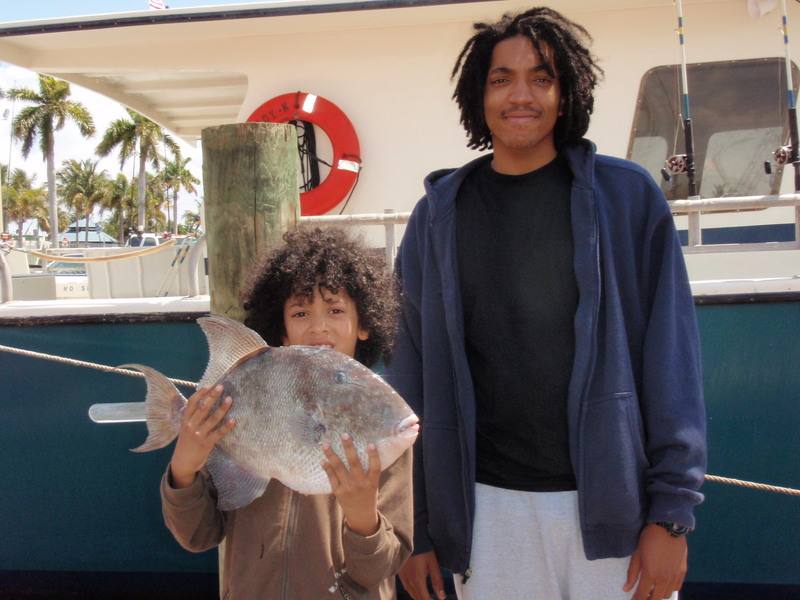 Liam and Rich Simpson of Englewood, N.J. spent some quality time fishing aboard the Lady K and was rewarded with this huge 8 3/4 pound Gray Triggerfish while bottom fishing for snapper and porgies. 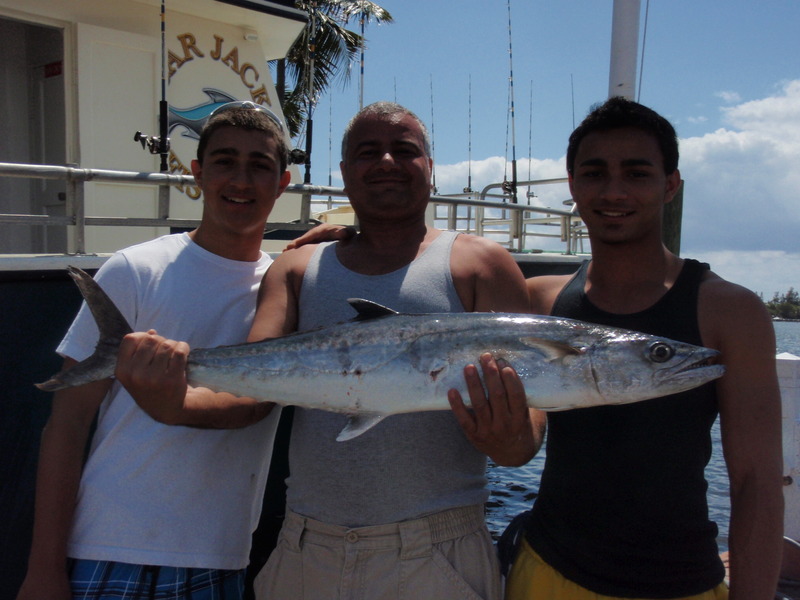 Excellent catch and thank you for allowing BarJack Fishing meet all your fishing needs. Father and son team Jake (l) and Bill (r) from Long Island, N.Y. enjoyed a beautiful morning trip with Jake battling his first ever Mahi Mahi on the Lady K. The fish was caught while fishing a knocker rig baited with a sardine and will be providing the family with some nice grilled Mahi Mahi sandwiches. 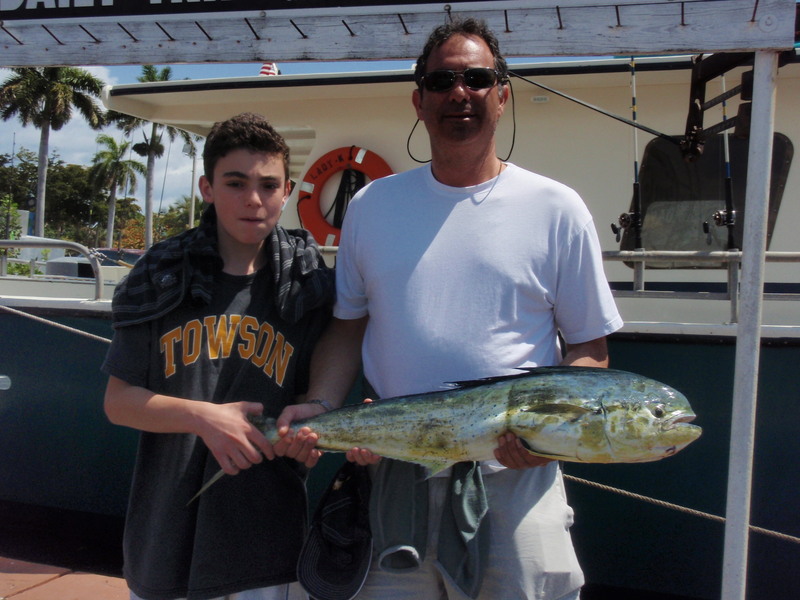 Mikey Pass (c) of Boca Raton, FL took his sons out for a half day of fishing aboard the Lady K which was rewarded with this nice King Mackerel and excellent bonding time. Very nice catch! Junior angler Christopher got a little help from mom, VIP lady angler Shannon and their teamwork was rewarded with this beautiful 53 pound Cobia caught during a recent morning trip on the Lady K. The crew did a textbook job coaching the family in order to bring the big fish alongside the boat and into the ice box. 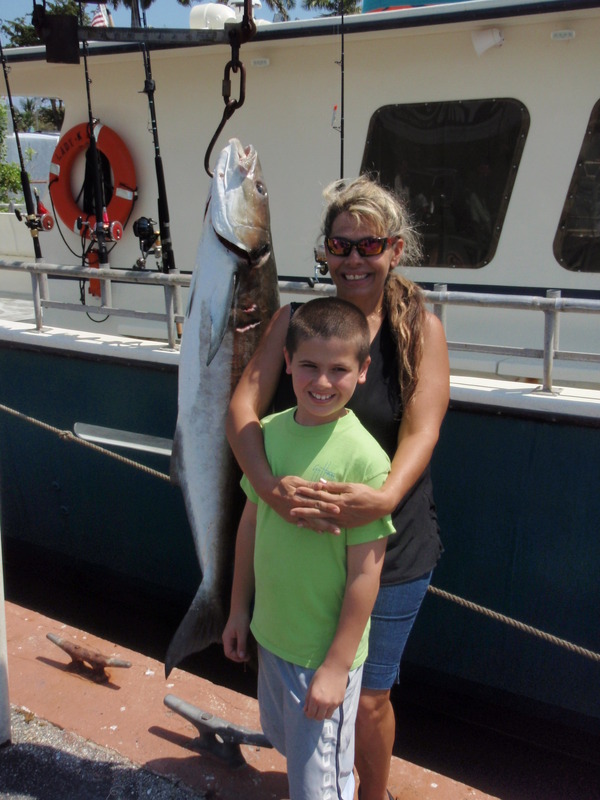 Another terrific catch of a lifetime for one of our many fishing families. Now is the time to start planning your trip out onto the cool, cobalt blue waters of the Atlantic ocean to see what wonders await to bite your bait. Our affordable prices include everything you need for four hours of fishing on the Lady K, just bring some snacks and your favorite soft drinks. Relax under the South Florida sun with family and friends. Don’t forget to share your experience or photos on our Facebook page. Tight lines and good fishing everyone.